for $369,000 with 3 bedrooms and 2 full baths, 1 half bath. This 1,846 square foot home was built in 2007. Darlington Park is walking distance from A+ rated schools. 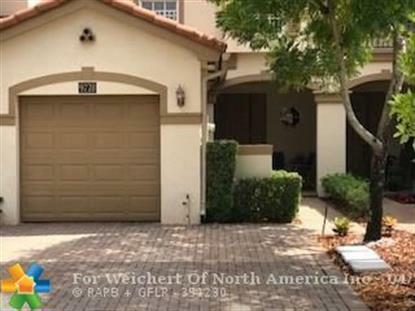 It is a gated townhome community located in the middle of Cooper City. This spacious, move in ready, 3 Bedroom, 2 and 1/2 Bath, 2 story with 1 Car Garage has an open, flowing floor plan. Kitchen and Bathrooms show like a model home remodeled. Bedrooms and closets offer lots of storage space. Tile Floors throughout the first floor. Bedrooms boast carpeting. Impact windows and storm shutters. New AC and New Water Heater. Community pool and common areas. HOA includes cost of the security alarm system.